The clarity of Bryony Griffith’s voice stops you in your tracks. 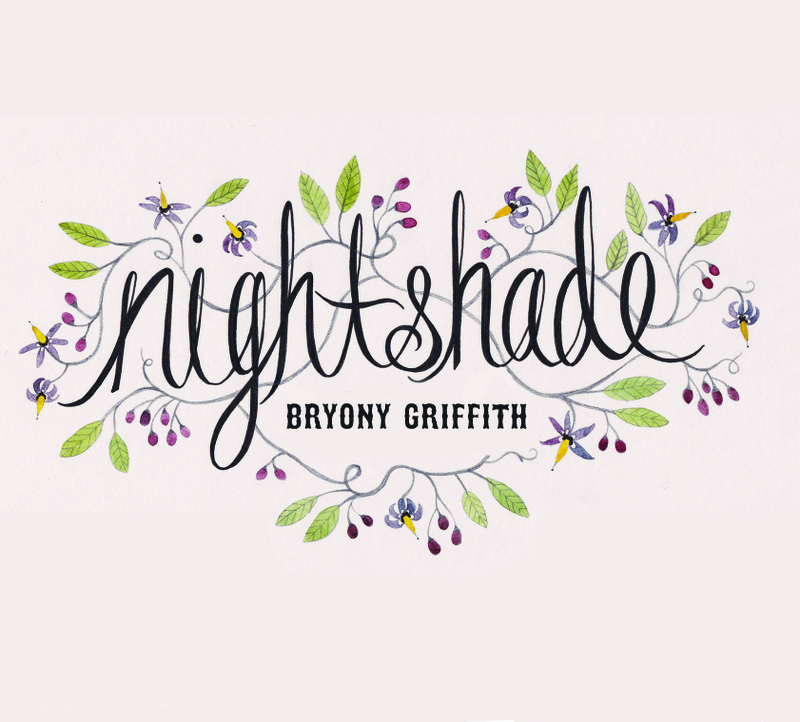 Authentic, pure, simple – no better words to describe her first solo album, Nightshade. Her voice is enchanting and her fiddle-playing casts a spell. Witches – that echoes Griffith’s musical history. A member of the Demon Barbers for ten years, she was also a member of the Witches of Elswick with Fay Hield and others. More recently performing in a duo with husband Will Hampson, on Nightshade she ventures out on her own. 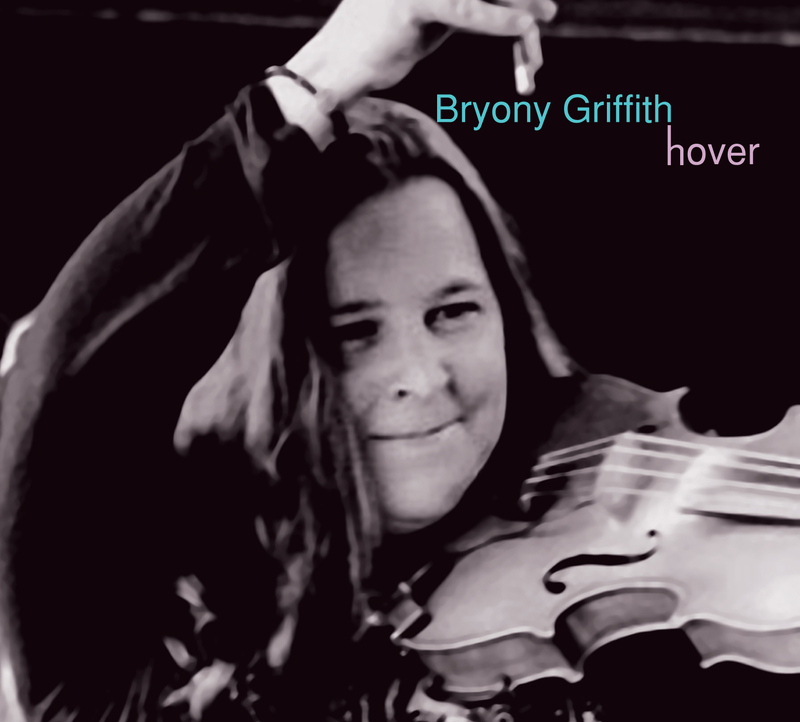 Bryony is a precise fiddler who plays tunes in an understated way that commands respect. In times of often over-elaborate multi-layered arrangements, her approach is to stay true to the line of the music. She brings a quiet flair to her arrangements. This album includes some solo fiddle tunes, four songs of which two are unaccompanied, and tunes where Griffiths is joined by guitarist Jack Rutter (of Moore Moss Rutter and the Seth Lakeman Band). Griffiths also plays piano, cello and viola. The first set of tunes, Stybarrow Crag/the Sheffield Hornpipe/Miss Nicholson’s Favourite, arranged by Griffiths and Rutter, establishes the Northern theme of the album, reflecting Griffiths’ roots. A lone fiddle starts off and builds to a lively pace. More tunes follow: Old Molly Oxford/Sherborne Jig are two Cotswold Morris tunes. Bryony learned the second tune for Will Hampson and David Hall to dance the jig to in the Demon Barber Road Show. The Wild Wild Berry is the first song on Nightshade and it is mesmerising. Griffith’s voice melts in the ear, and the piano accompaniment works very well. St John’s Day or Parson Darrall’s Fancy/Paganini’s 2nd follow, from Yorkshire and Sheffield respectively. Next comes a set of tunes written by Griffiths and arranged and played by her and Rutter: Flame/Edinburgh Zoo/Lawrenson’s Spurtle. The first two tunes were written and played at Sidmouth, the second two tunes were written for weddings. You can hear the flickering of fire in Flame. A spurtle is a Scots kitchen tool, dating from at least the fifteenth century, used for flipping oatcakes and later for stirring porridge. Its motion is felt in the third piece. The Cropper Lads is a beautifully delivered traditional tune that Griffiths first heard at the Grove Folk Club in Leeds and decided to learn because 2012 was the 200th anniversary of the Luddite uprisings around Huddersfield, where she is from. She sings unaccompanied with gusto and clarity. Taboo for Two/the Whitby Waltz/Stilli’s Waltz is another set of tunes by Griffiths that are held together by the weddings theme. The Sham Doctor/Carey’s Maggot are two traditional 3/2 hornpipes arranged by Griffiths and Rutter and played with panache. Griffith’s unaccompanied version of Kemp Owen is delivered to perfection. Her voice as ever communicates each twist and turn of this poignant Child Ballad. It was the first full ballad she learned and is quite a feat to sing unaccompanied, lasting eight minutes. Her previous singing partner in The Witches of Elswick, Fay Hield has also recorded this song recently, and the two versions nicely complement each other. Ponker Lane, written and arranged by Griffith for another wedding, is the name of a road in the village of Skelmanthorpe (locally known as ’Shat’!) where Griffith lives. Griffith found The Queen of the May, the album’s final song, in the new EFDSS Full English Digital Archive in the Frank Kidson Collection. The tune is wistful, lending a hauntingly compelling setting to the lyrics, and it resolves in its final notes. Bryony Griffith’s version captures both the innocence and the eroticism of this extremely beautiful song. It seems that many of Griffith’s tunes are written to celebrate weddings or anniversaries. Nightshade and weddings – it’s an unusual mix, yet it’s one that resonates within the folk genre. Certainly it’s a blend that works well here, and Nightshade is not to be missed.